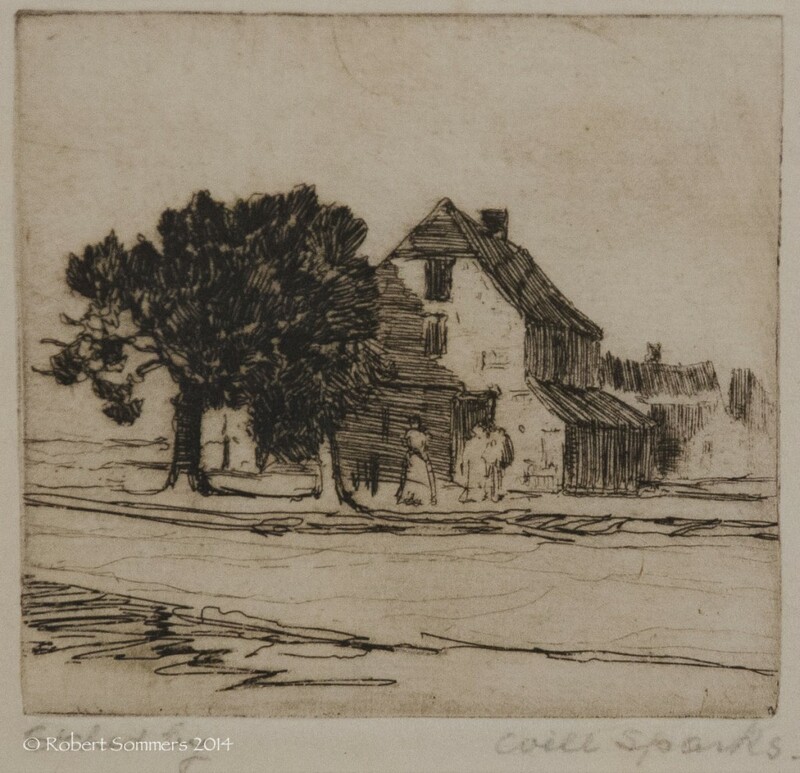 Painter, etcher, and muralist, Will Sparks became one of California’s premier artists, known for his mission and nocturnal adobe scenes. He was highly prolific, completing about three-thousand oil paintings. In 1891, he settled in San Francisco, establishing a studio at 163 Sutter Street. He combined illustration work and writing for the San Francisco Evening Call with easel painting including all of the California missions. He was a member of the Bohemian Club, a free-spirited, fun loving group that lived “hand-to-mouth” for their art. He also painted in Arizona, and a painting Tucson was done in 1894. In 1904, he joined the faculty of the University of California, doing anatomy drawings for medical classes, and in 1907, he was a founder of the Del Monte Art Gallery. He died in San Francisco on March 30, 1937.